Teamscope was born as an offline-first app. From day one we knew that research is a moving target and medical data needed to be collected despite the availability of the internet. Being offline is not something the majority of users like, but let’s face it, it’s bound to happen at some point. Perhaps you’re traveling to another country, or you simply used up all your internet. The point of the matter is, you have to be prepared. In some cases it is completely inevitable to be offline. According to the International Telecommunications Union (ITU), the developing world is far from reaching the levels of connectivity the developed world has reached. More than 4 billion people have no access to internet in more than 20 countries. 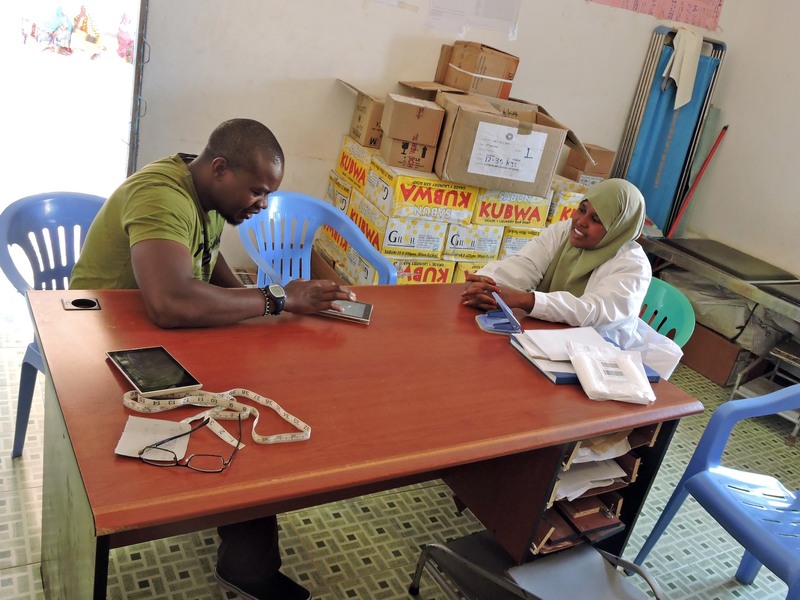 Offline data collection for a needs assessment study in Bosaso, Somalia. 1. Don't clear 'app data' or reinstall the app otherwise offline data will be lost. Deleting the app or reinstalling it will delete the information that it has stored on the local memory, only once it has been synchronized with the server you are safe to delete the app if needed. 2. Synchronize your data as soon as you can. Although the Teamscope app keeps your data safe and secure in the local memory while you don’t have internet access, it can still be lost if you have not synchronized it and your mobile device is lost. Make sure you establish a standard operating procedure (SOP) with your team to synchronize data at periodical times or as soon as internet is available. 3. When uploading a batch of offline eCRF entries, check for the fastest connection. Synchronizing a batch of offline saved entries can take seconds or up-to minutes depending on your internet connecting and the amount of CRF entries. Connecting your phone or tablet to wifi or 3G/4G will be your best option when synchronizing data from the Teamscope app to our servers. You can do a speed test from your mobile device using speedtest.net to see which is your fastest connection available. 4. Don’t use mobile notifications that require an immediate reaction. Mobile notifications is a powerful feature on Teamscope, you can define rules within your eCRF so certain team members receive a mobile notification with a custom messages when an event occurs, such as a query being triggered or a value being entered on a field. Your phone or tablet will not receive notifications while its offline. If your team will be working mostly in an offline setting it’s best that you don’t integrate notifications that will require them to take urgent actions. Regardless if your are conducting a clinical study in a remote village in Kenya or in a hospital in the Netherlands you are not assured to have a stable internet connection at all moments. This is why our platform has been offline-first since day one, hundreds of researchers collect offline data everyday around the world using that functionality of our Android and iOS applications. We are continuously looking for ways to help you work seamlessly without the need for internet and we are happy to hear from you on how we can further improve this feature. Got a feature request or want to send us feedback? Lets talk! 👋 support@teamscope.co.